It is a lean album, like always, which I definitely appreciate. No filler can be found in this ten track, 42 minute long album. It’s punchy and to the point, not wasting any time. I never want to skip a track, which after dozens of listens is always impressive. The album is themed around different inspirations to his life, from Kanye to Future to Rihanna and Swizz Beats. Even Harambe makes an odd appearance in what should be a meme-rap track straight off of the latest Hopsin tape. Instead it manages to sound pretty damn good, no matter how much the name wants to make me hate it. Jeffrey is an attempt to move away from the identity of Young Thug. He wants to drop the Thugger moniker because, to him, Young Thug can only ever be that, a thug. Here he is attempting to be reborn as Jeffrey. He’s taken a more personal slant in his new songs, focusing on the relationship he is in and the life that he leads. “Uh, I’m a vet but I’m ready to settle down / I don’t wanna know what’s next / It don’t matter what I do tonight / Cause I’ma know you the best-best-best, yes.” He’s done playing round, he’s seen it all. Groupies, drugs, parties. The uncertainty that comes with living that life. “I ain't never playin', you the main baby / When I die, I'ma leave somethin' for you baby.” He’s in love now. That does not mean that the juvenile lines are gone. He still retains that essential tinge of Young Thug, rapping about giving women facials and Patek Phillippe watches. It is an album in transition, a feeling he purposefully attempts to invoke in interviews about gender before the album dropped. 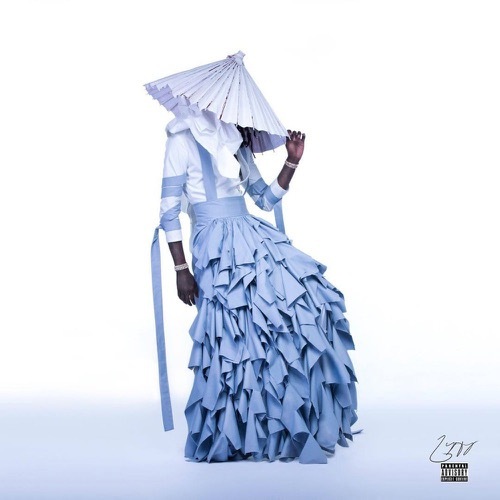 He is casting aside the shell of Young Thug, transitioning into the new artist, Jeffrey.